This is part 1 in a three-part series about my trip to San Francisco to visit Maker Faire Bay Area. 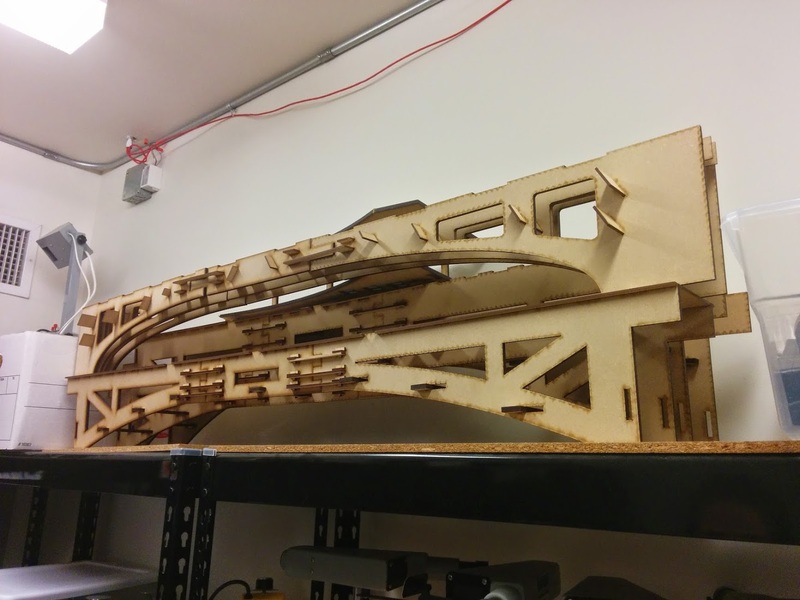 I also write about our trip to the Exploratorium and Maker Faire Bay Area in separate posts. 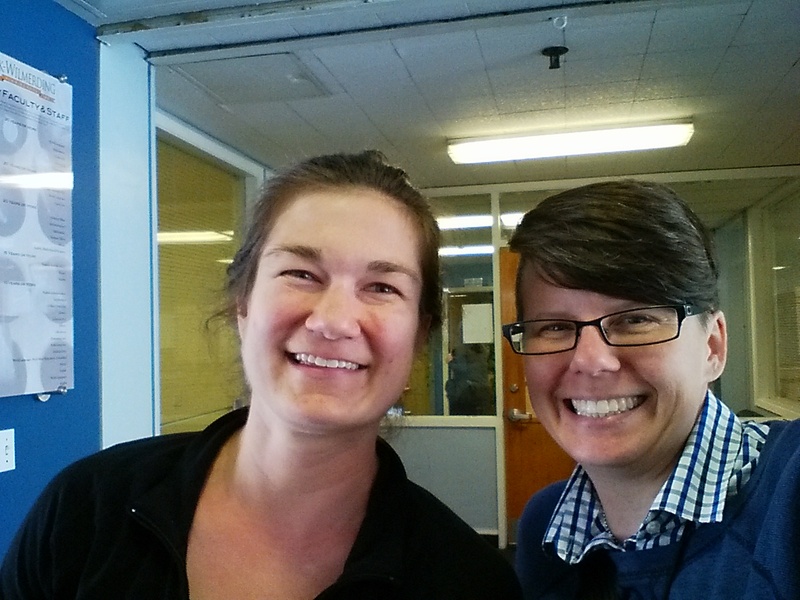 Last week, as we wrapped up classes on the 2014-15 year, my school sent me with two other teachers to Maker Faire Bay Area. The three of us are part of our school’s STEAM professional learning community. Our visit was meant to further our cross-curricular work with this great group of teachers. I liked how the three of us available for the trip were from different departments — it helped me experience all this great stuff through their eyes. The three of us had tickets to the Faire, plans to visit a high school, and time carved out to see the Exploratorium science museum. 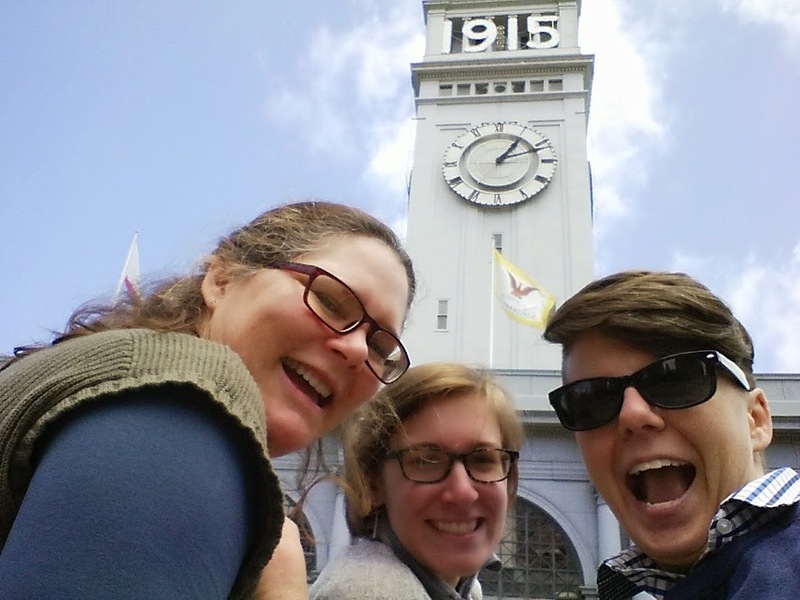 My colleague liked to introduce us as “a mathematician, artist, and a physicist” while we traveled around San Francisco. When this trip came up as a possibility, I knew I wanted to visit Lick. This school is amazing! It’s over 100 years old and was originally founded as a school of the mechanical arts, meaning it has a strong vocational history. Today, Lick is an independent college prep high school in the heart of San Francisco. Our host at Lick Wilmerding was Colleen Nyeggen. She teaches physics and engineering classes. Another Tweep met in real life! The first thing you notice when you walk down to Colleen’s classroom is the huge wall of windows she has — looking out over a courtyard of similarly-appointed classrooms. When this part of the school was built, the developers dug out space so that every room would have tons of natural light. Here’s a photo from the upper level. Those double doors in the lower middle of the picture are Colleen’s classroom. The developers dug down to create what folks call the pit area. The result? Lots of light AND greenspace at an urban school. 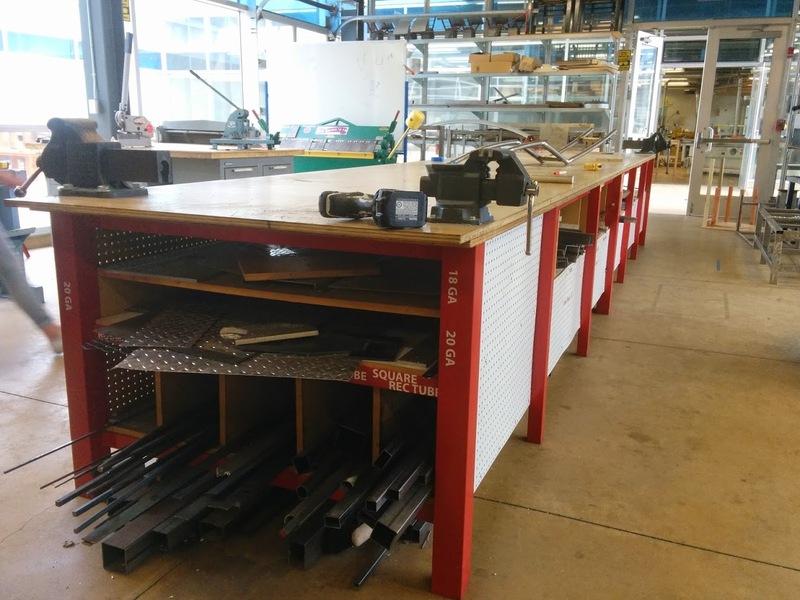 We toured the “shop pit” area where all the tech arts classes and her physics classroom are housed. The entire area feels industrial and productive. We observed students working on projects ranging from jewelry, electronics, and woodworking. This is the kind of workspace I envied while visiting Lick — the spaces are airy and incredibly neat. This table holds stock for projects. Every freshman at Lick takes a course in the tech arts (what you might call shop) called Design & Technology, culminating in a project to build a lamp. Check out the Tech Arts Department page for samples of student work. Colleen told us that the kids learn to operate all the tools on campus during that D&T course as freshmen. When they come to her engineering class and she wants them to design bridges, they already understand how to both operate the design tools and also how to join wooden parts without glue (see below). To make space in their curriculum for these wonderful courses, Lick doesn’t offer AP or IB courses. The teachers we spoke with said their students still get into “top” colleges and they don’t see a downside to the decision. If you’re gonna do projects, you need storage space for works in progress. The tech arts rooms had plenty of storage space for unfinished work. They used broad shelves and all the vertical space available. Work was kept out of the way and appeared to be un-bothered by students. A reminder to myself that I shouldn’t simultaneously teach how to fabricate a thing while trying to teach about the physics of that thing (for example, the bridge builders in Colleen’s engineering class already understood designing in wood and cut on a laser cutter before she started with them on bridge engineering). Service learning offers a purpose to a student’s practice. For instance, the kids built seating and shelving around campus. I wonder if there’s a way to facilitate school visits — either in person or virtually. Would you like help finding a school you can visit?